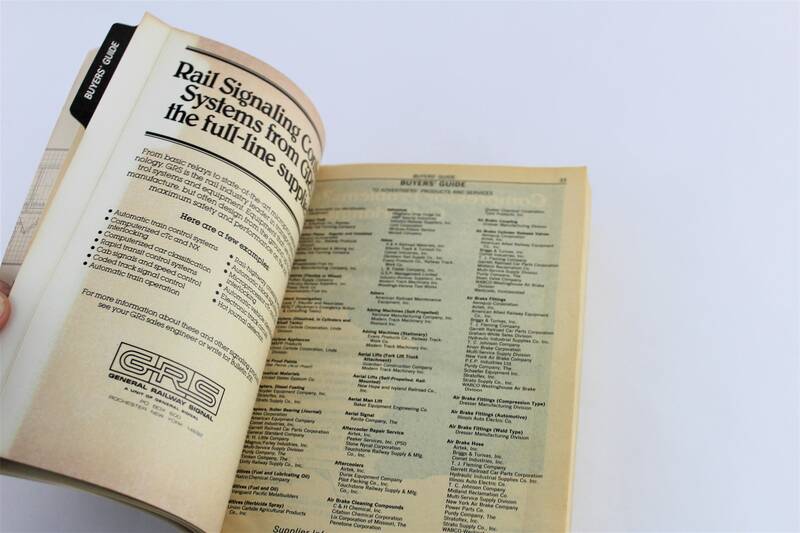 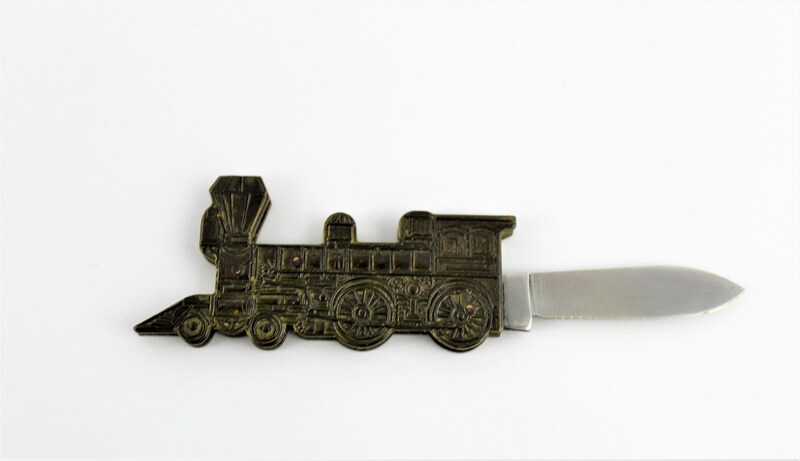 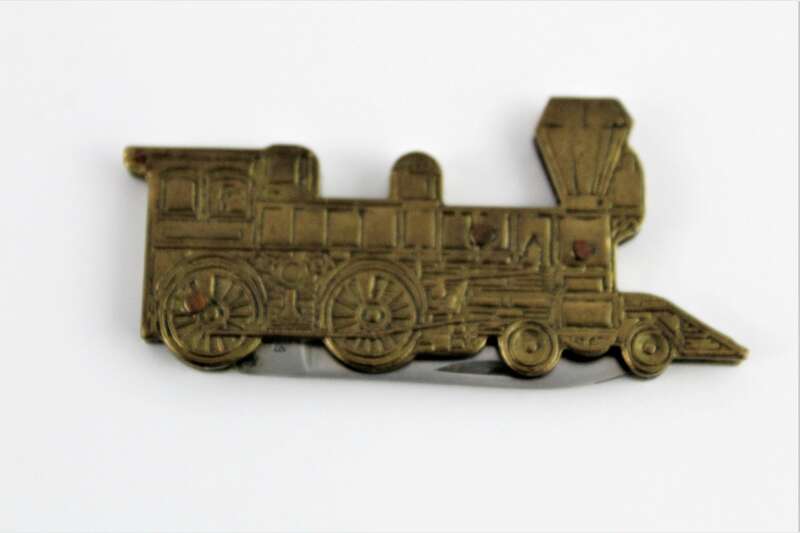 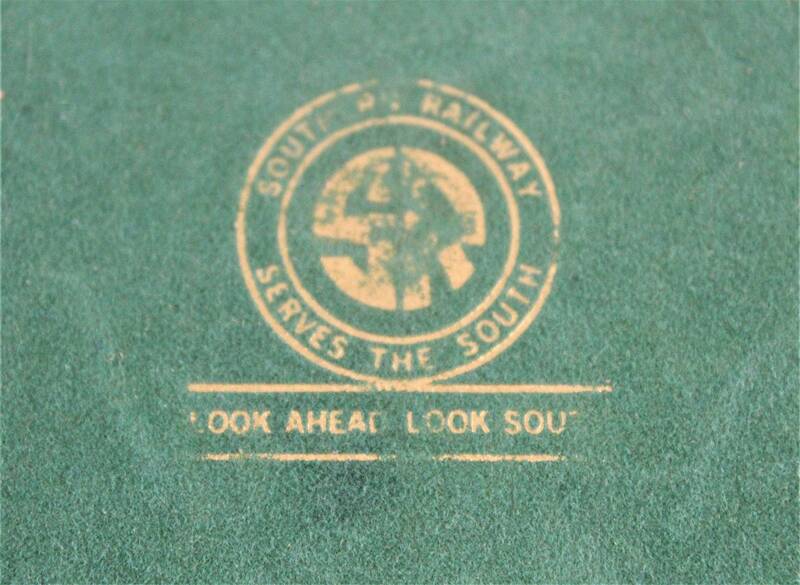 Wonderful collection of railroad memorabilia from the Southern Railway and more. 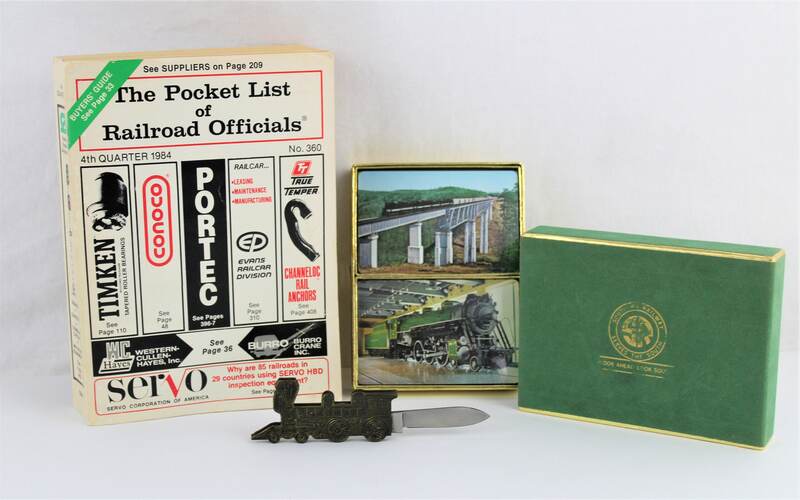 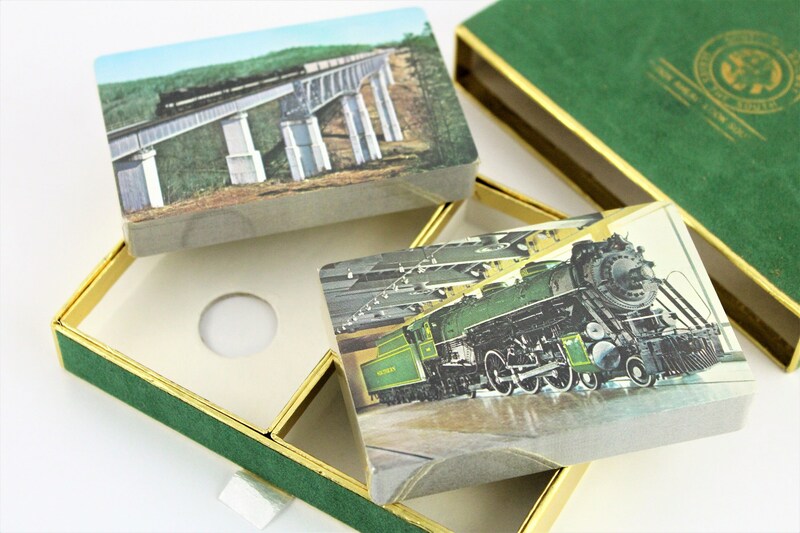 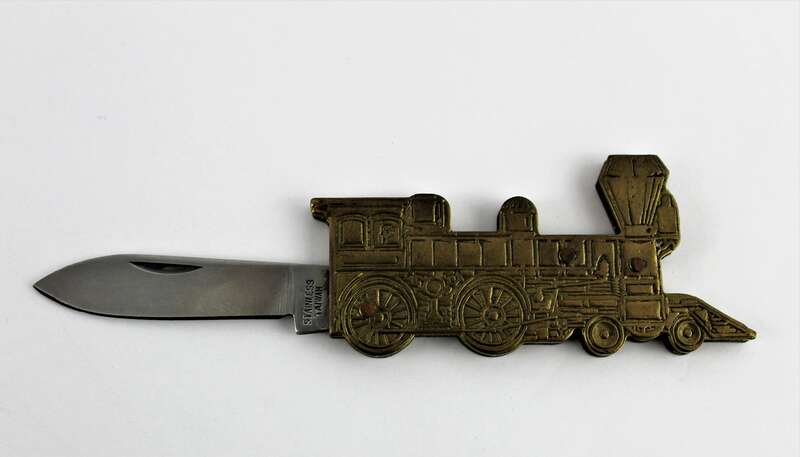 The items include a brass locomotive shaped pocket knife, a set of Southern Railways sealed unused playing cards in a green felt case and The Pocket List of Railroad Officials, four quarter 1984. 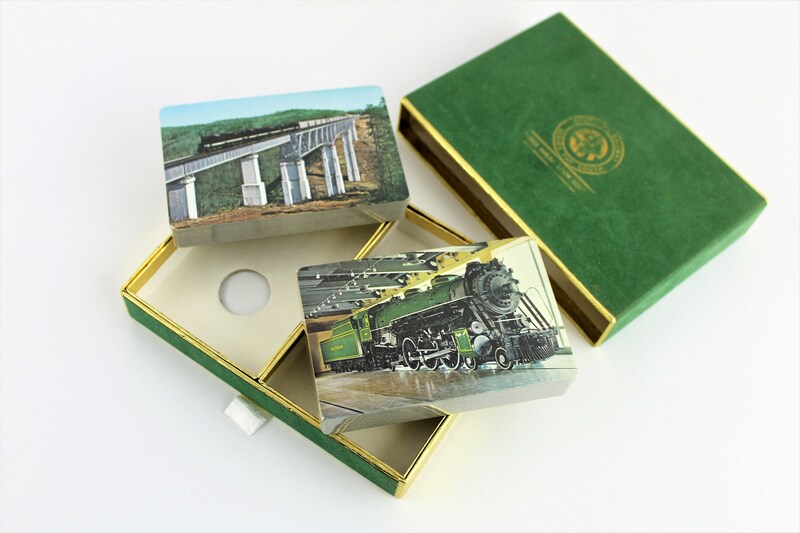 These items are all in wonderful condition and will make a great gift for a lucky train enthusiast. 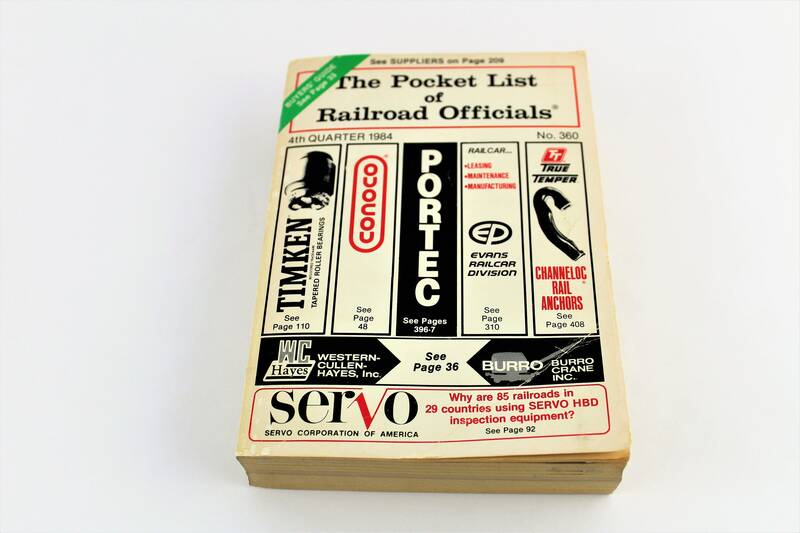 Condition; vintage, pages in book have yellow some.